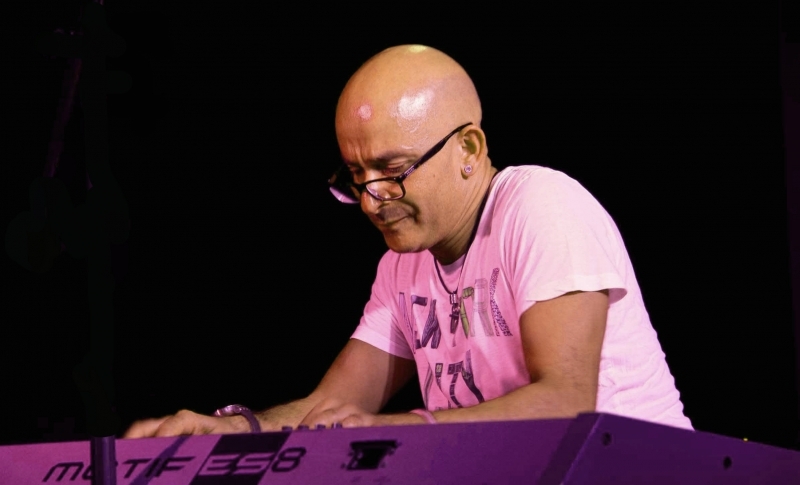 Dino Baptiste has been an outstanding pianist working with an array of local and internationally recognised artists for over two decades. Best known here at the Club as the pianist with the iconic Blues singer Dana Gillespie he first started performing in the mid 70's, influenced by the likes of Ray Charles, Jerry Lee Lewis, Little Richard and Louis Prima. In the early 90's he was hired by Dana to accompany her for a show, which turned out to be a musical match made in heaven and more than 20 years later he remains an integral part of her band. A busy and successful musician Dino also includes work with the likes of Donald Fagen, Lulu, Leo Sayer, Jeff Beck and Paul Jones, plus numerous gigs with his own band at Clubs and Blues festivals around the UK and Europe. His debut CD “Two Timing Lover” was received with considerable acclaim and it is music from this album plus as Dino puts it "an exclusive selection of old hits from my idols Ray Charles and Nat King Cole" that he will be performing tonight. Anyone who has seen Dino's dynamic performances with Dana here at the Club will know just how impressive his Blues and Boogie Woogie playing really is. For this gig Dino will be joined by Theo Jobst on sax along with Dominic Stockbridge on guitar and Alessandro Cinelli on drums.